An angler in a boat at sea. He is catching a big fish. 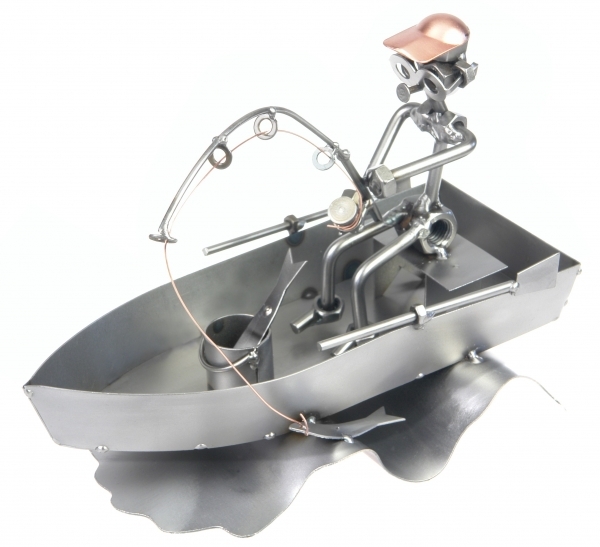 A decoration that is a perfect present for an angler.